A retired radiologist and the eldest child of late Ologbosere of Warri Kingdom, Chief O. N. Rewane, was yesterday burnt to death in an early morning fire in Lagos. 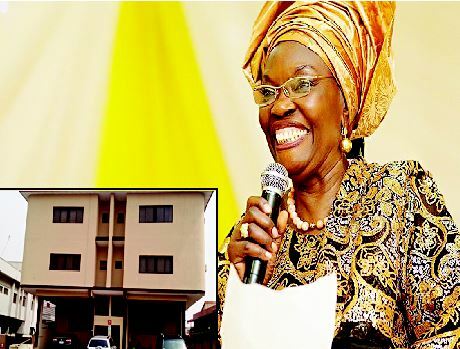 The 75-year-old Dr. Irene Damola (nee Rewane) was at at her 5, Tola Adewunmi Street, Maryland, Lagos residence where the unfortunate incident occured. “It is a five-bedroom apartment. The woman, Dr. Irene Damola, lives upstairs, while the young lady staying with her lives downstairs. The fire started from her bedroom. “She made efforts to escape, but the fire caught up with her at the door of her bedroom, where my men met her dead. “We were able to prevent the fire from spreading to the ground floor. We gathered that before her demise, she was not walking well, and the effect of old age might have affected her mobility. We didn’t allow the fire to spread beyond the room. The corpse was handed over to policemen from Anthony Village Division.” Late Dr. Damola retired as a radiologist in Saudi Arabia before returning to Nigeria. She also worked at Lagos University Hospital, LUTH. A retired radiologist and the eldest child of late Ologbosere of Warri Kingdom, Chief O. N. Rewane, was yesterday burnt to death in an early morning fire in Lagos.